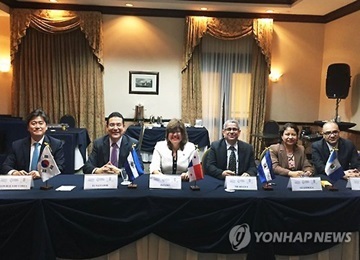 South Korea will resume negotiations this week for a free trade pact with six Central American countries that make up the Secretariat for Central American Economic Integration(SIECA). Seoul's Ministry of Trade, Industry and Energy said Monday that the third round of negotiations for the South Korea-SIECA free trade agreement will be held in San Francisco from Monday to Friday. The SIECA is a regional economic bloc consisting of Costa Rica, Guatemala, Honduras, El Salvador, Nicaragua and Panama. As of 2014, its combined gross domestic product(GDP) amounted to 209-point-eight billion dollars, making it the fifth largest economy in Latin America. Around 43-point-five million people live in the SIECA member countries, the third largest population in Latin America. 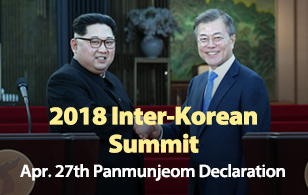 South Korea and SIECA initiated the negotiations for an FTA in June last year, continuing the second round of negotiations through November. The two sides have so far held in-depth discussions in major areas such as goods, services, investment, finance, rules of origin, customs procedures, government procurement, cooperation, Sanitary and Phytosanitary measures(SPS) and Technical Barriers to Trade(TBT). During this week's third round of negotiations, they will accelerate discussions from where they previously left off while initiating talks on labor and environmental issues.